The overall number of seats at Indian Institutes of Management (IIMs) will be increased in the next few years. 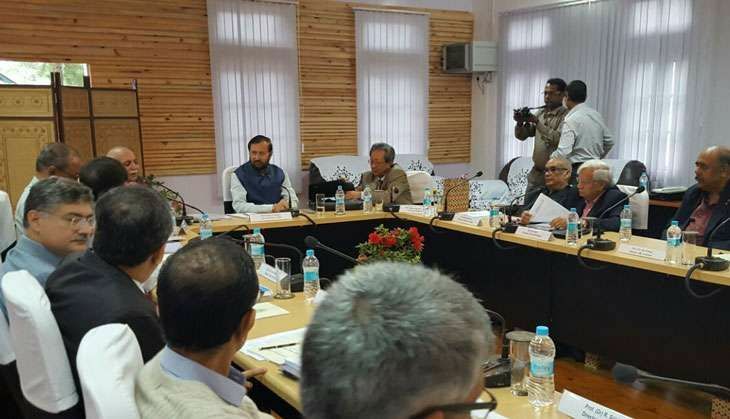 The decision was taken at a meeting between the Union Minister of Human Resource Development Prakash Javadkar and chairpersons and directors of IIMs in Shillong on 20 September. According to the ministry, the IIMs will submit plans to expand their intake capacity. The institutes will also explore the possibility of the expansion of doctoral programmes. "The Union Minister expressed that creating more quality PhD programmes will address the issue of shortage of faculties in institutes. And for creating more PhDs, the Minister said that, better avenues of fellowship will be offered to willing candidates. The Minister also said that in line with the IIT Council, where it has been decided to award PM's scholarship for PhD programme, government approval will be sought for PM's scholarship for best of PhD scholars in IIMs," the MHRD said in a release. All final decisions will be taken pending Cabinet approval. The IIM Council meeting also confirmed that IIMs were working to build 20 world class universities and institutes. "Of these 20 world class institutes that the government wishes to build, 10 institutes will be in government sector and 10 in private sector," stated the release. The IIMs will also participate in creating course contents for Study Webs of Active-Learning for Young Aspiring Minds (SWAYAM), an Information Technology platform which will offer online courses on various subjects to students of Class 9 to undergraduate and postgraduate students. When asked about the reservation in education policy, Javadekar said that it is the Constitution which provides for it and the government has no plans to make changes in reservations. Javadekar also stressed on the need to focus on research and innovation to develop quality education and the willingness for adopting teaching profession among students. "The country requires 10 million good teachers to improve the quality of education from primary to higher education and from higher education to research and innovation," he stated.